If you would like to get a Windows Replacement in East Pasadena for your house or commercial property, know that you will have to get a permit before you begin the installation. This means that you need to register for it and have it in hand before the whole process starts. If you were to go through getting one installed without a permit, the fixture may be removed and you may have to pay extra fees. Save yourself the hassle by researching the matter and knowing what steps you need to take to safeguard yourself and your family or business. Once you have crossed those I’s and dotted those t’s, you can move forward with a company that you know is reputable and truly cares about its customers – Intex Windows & Doors. We are based out of Glendale and provide services to customers in the greater area. We are a top distributor of various series of doors and windows from companies such as Jeld Wen and Milgard. Know that Intex will be on your side and handle the installation in a professional manner so that you can focus on the important things in your life and with your business. Whether you have a commercial, institutional, or residential property, Intex technicians can assist you with your interior and exterior fixtures. Our technicians are compassionate and will go above your highest expectations to do an excellent job. The project will be kept to a strict deadline, so that you will have minimal interruptions. Look no further than Intex Windows & Doors for high quality products that we distribute for some of the top companies around. You will not regret going with Intex when it comes to your commercial and home fixtures. Put in some time searching the large catalog, which is quite easy to use, so that you can have a good idea of what products will be the best for your particular needs. Whether you want to purchase storefront windows with Timely frames, Milgard Essence Wood Windows with their precise lines and finish, or some new patio doors to complete your patio construction, you can rely on Intex Windows & Doors to provide you with what you need. Get the best in Windows Replacement in East Pasadena right away. Even if by some chance we do not contain any fixtures that are suited to what you would like, you can still purchase from Intex. We are open to discussing how we can put together a customization of doors and/or windows that will fit your building’s unique specifications and the style that you want. It is not too often that you find companies that will go above and beyond like this, but that is always the case with Intex. 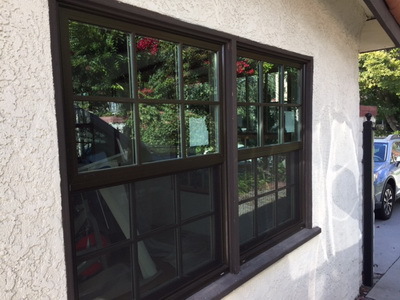 For top rated Windows Replacement in Encino, stick with us to know that the job will get done right. Our energy efficient products will amaze you with how much they will save you on your electric or gas utilities bill. If this sounds appealing to you, then you will want to sign on to get fixtures from Intex Windows & Doors. Best of all, our products are under a warranty so you do not have to worry about losing out if they arrive damaged or any issues crop up. You can reach out and give us a call to learn more about our offerings and how you can shop easily and conveniently online. Avoid the frustration of driving around to shop at multiple stores by visiting our retail website today. You will be glad when you see the transformation in your space with the addition of such beautiful, stylish and efficient doors and windows.